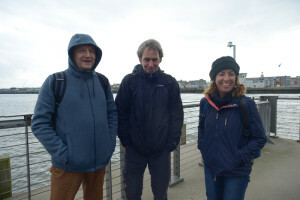 This adventure started 26 years ago, when two Norwegian benthos researchers (Torleiv Brattegard from University of Bergen and Jon-Arne Sneli from the University in Trondheim) teamed up with three Icelandic benthos specialists (Jörundur Svavarsson and Guðmundur V. Helgasson from University of Iceland and Guðmundur Guðmundsson from the Natural History Museum of Iceland) to study the seas surrounding the volcanic home of the Nordic sages. 19 cruises and 13 years later – and not least lots of exciting scientific findings and results the BioICE program was finished. But science never stops. 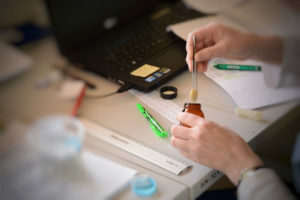 New methods are developed and old methods are improved – and the samples that were stored in formalin during the BioICE project can not be used easily for any genetic studies. 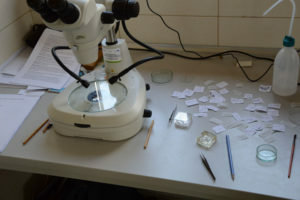 They are, however, very good for examinations of the morphology of the many invertebrate species that were collected, and they are still a source of much interesting science. 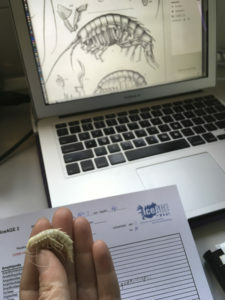 The dream about samples that could be DNA-barcoded (and possibly examined further with molecular methods) lead to a new project being formed – IceAGE. 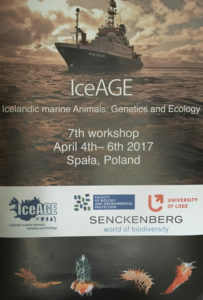 A large inernational collaboration of scientists organised by researchers from the University of Hamburg (and still including researchers from both the University of Iceland and the University of Bergen) have been on two cruises (2011 and 2013) so far – and there is already lots of material to look at! 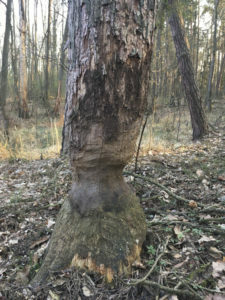 This week many of the researchers connected with the IceAGE project have gathered in Spała in Poland – at a researchstation in woods that are rumoured to be inhabited by bison and beavers (we didn´t see any, but we have seen the results of the beavers work). 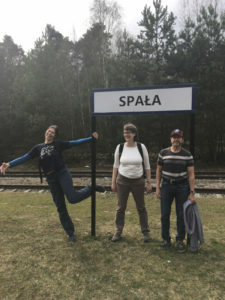 Some of us have discussed theories and technical stuff for the papers and reports that are to come from the project, and then there are “the coolest gang” – the amphipodologists. 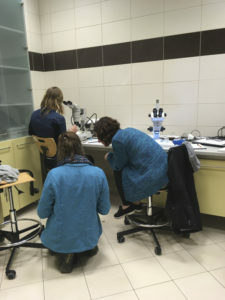 10 scientists of this special “species” have gathered in two small labs in the field-station, and we have sorted and identified amphipods into the wee hours. It is both fun and educational to work together. Everybody have their special families they like best, and little tricks to identify the difficult taxa, and so there is always somebody to ask when you don´t find out what you are looking at. Between the stories about amphipod-friends and old times we have friendly fights about who can eat the most chocolate, and we build dreams about the perfect amphipodologist holiday. 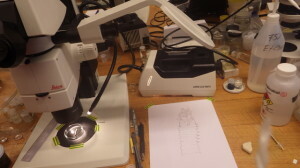 Every now and then somebody will say “come look at this amazing amphipod I have under my scope now!” – we have all been treated to species we have never seen before, but maybe read about. 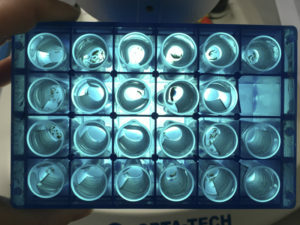 We also have a box of those special amphipods – the “possibly a new species”- tubes. 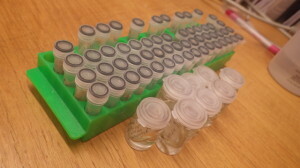 When there is a nice sample to examine, you might hear one of the amphipodologist hum a happy song, and when the sample is all amphipods but no legs or antennae (this can happen to samples stored in ethanol – they become brittle) you might hear frustrated “hrmpfing” before the chocolate is raided. The samples from IceAGE are all stored in ethanol. 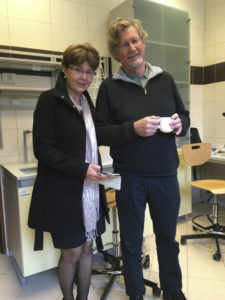 This is done to preserve the DNA for molecular studies – studies that can give us new and exciting results to questions we have thought about for a long time, and to questions we maybe didn´t even know we needed asking. 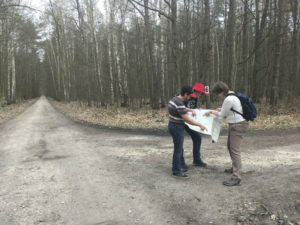 We can test if what looks like the same species really is the same species, and we can find out more about the biogeography of the different species and communities. The geographical area covered by IceAGE borders to the geographical area covered by NorAmph and NorBOL, and it makes great sense to collaborate. This summer we will start with comparing DNA-barcodes of amphipods from the family Eusiridae from IceAGE and NorAmph. They are as good a starting-point as any, and they are beautiful (Eusirus holmii was described in the norwegian blog last summer). 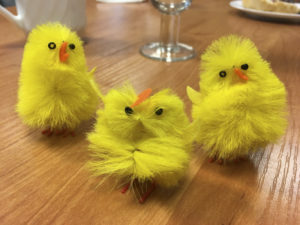 Happy easter from all the amphiods and amphipodologists! 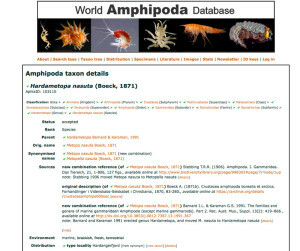 landic deep−sea Ampeliscidae (Crustacea: Amphipoda). Deep Sea Research Part I: 68: 12–23. Svavarsson J (1994) Rannsóknir á hryggleysingjum botns umhverfis Ísland. 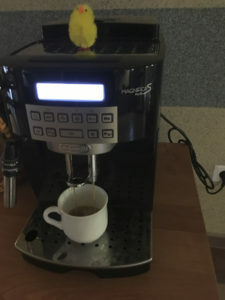 Íslendingar og hafiđ. Vísindafélag Íslendinga, Ráđstefnurit 4: 59–74. Crustacea) fauna of the Northern Seas: species composition, distributional patterns and origin. 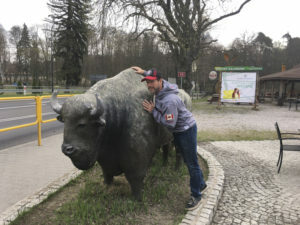 Journal of Biogeography 20: 537–555. This entry was posted in Crustacea, NorAmph, NorBOL, Photography, Workshops and tagged Amphipoda, marine invertebrates, Meetings, NorBOL, taxonomy, workshop on April 6, 2017 by pans. It is a sad fact, but a fact nonetheless. Most biologists are not taxonomists. 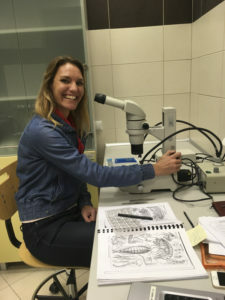 Even so – the work many biologists do is based on knowing the species studied, and knowing the correct name is part of that important knowledge. This is where databases will be your best friend! For marine species, the World Record of Marine Species, WoRMS, database is used widely, with more than 200 000 visits every month. Here you can find not only current accepted names, but also information about synonymised names, taxonomic literature, and for some species information about distribution, ecological traits and links to other resources. 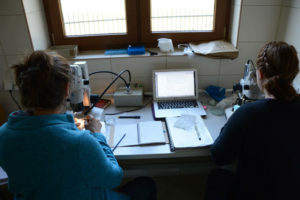 The data have all been checked and edited by a world-wide team of taxonomic and thematic editors – all responsible for their special groups of organisms. 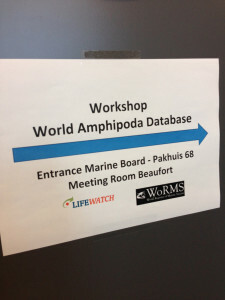 This week, 22 of the 34 taxonomic editors of the World Amphipoda Database, feeding WoRMS with all Amphipod-related information, gathered at the Flanders Marine Institute in Oostende, Belgium to learn about how to best edit the information about Amphipods. 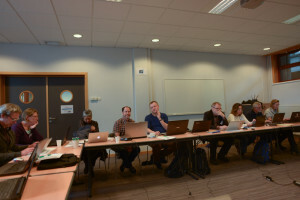 It was two days full of information about the database, but also of hands-on training and with the help of the nice people in the Data Management Team of WoRMS, we managed to get quite a lot of information added and edited on the database. 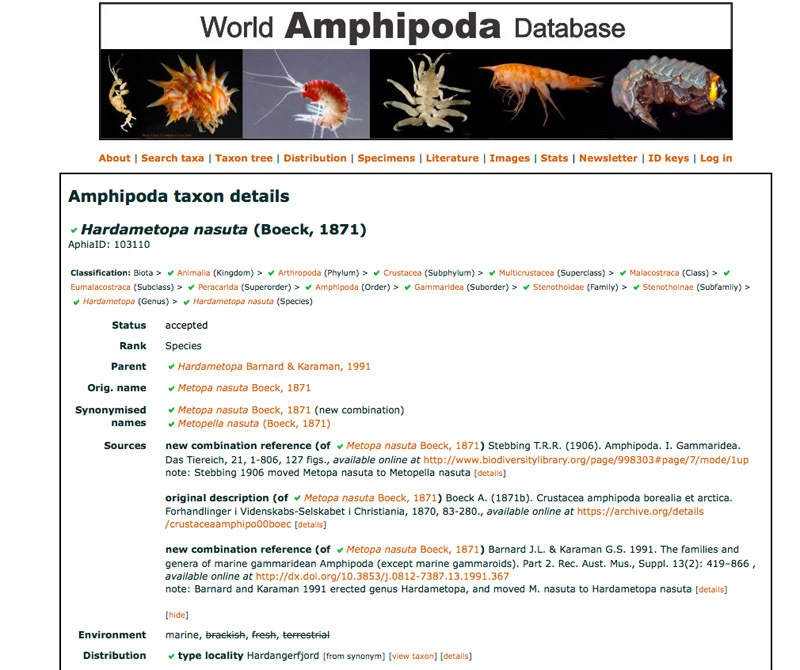 Needless to say, with more than 9000 amphipod species accepted (and several of them with earlier names or alternate representations), we have not completely finished yet. 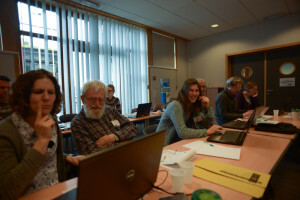 The work on editing a database is continuous – and we have plans for adding more info for each species, including type-information, ecological information and links to identification keys. The second best thing about going to workshops (the first being all the exciting new things we learn), is that we get to spend time with colleagues from far away. The people working on amphipods are in many ways my extended family – this is at least how it feels whenever we meet. 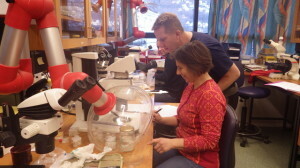 News about both amphipods and life in general are exchanged, possible new projects are planned, and friendships continue to be reinforced over cups of coffee, early breakfasts and late dinners. And every time we leave each other, there is a hope that our next meeting might not be too far away. 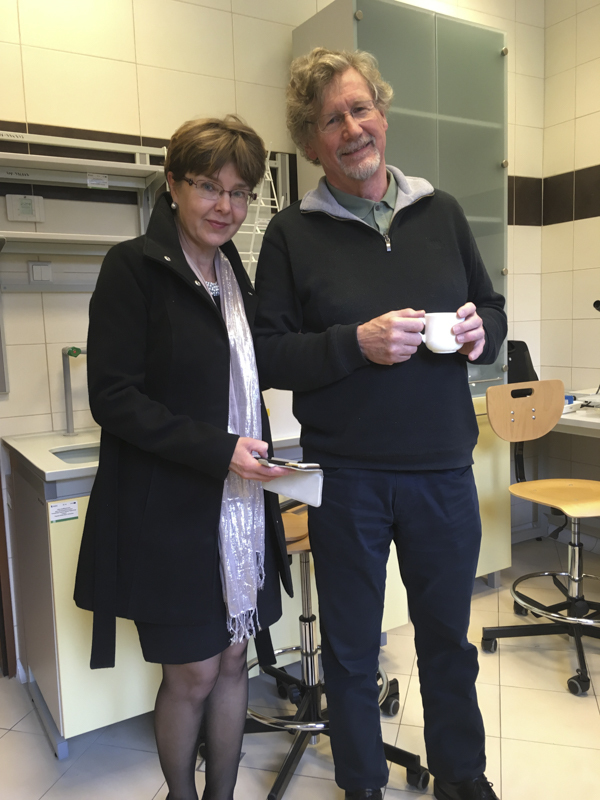 My colleagues from Poland call this “the Amphipoda way of life” – and this friendly, collaborate life is a good life to have as a researcher. 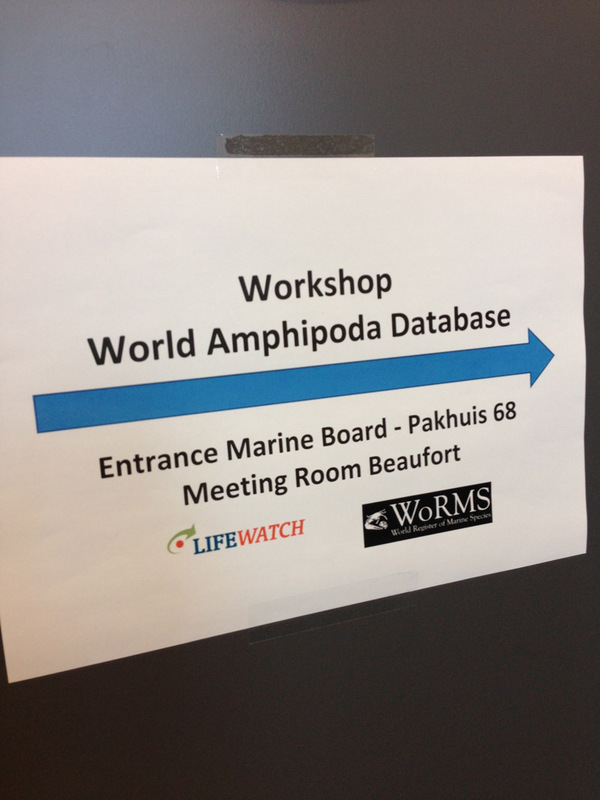 This entry was posted in Crustacea, NorAmph, Workshops and tagged Amphipoda, databases, workshop on April 7, 2016 by pans. 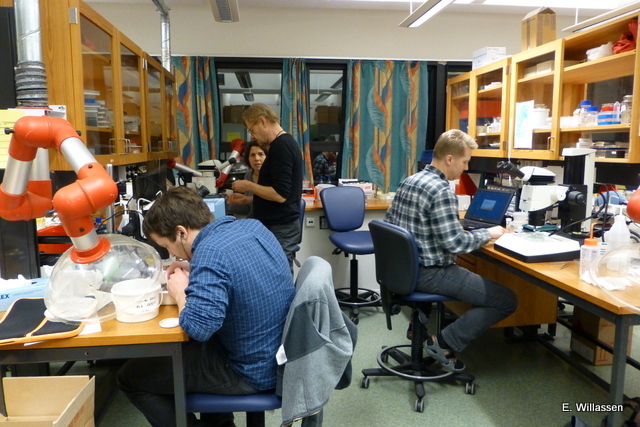 The lab is rather quiet today, compared with the frantic activity of last week – but there’s still plenty of work to do! We’ll catalog the identified material – several hundred entries – into our museum collections. For NorBOL, a total of 250 polychaete specimens from 154 different species were selected for genetic barcoding, that’s pretty impressive! In addition, some of our participants selected material to loan with them, these will also in part become NorBOL-barcodes. 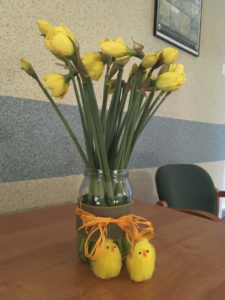 We’ll process these as quickly as we can, taking pictures, filling in the forms and taking tissue samples for analysis at the CCDB lab in Canada – fingers crossed for a high success rate on the sequencing! 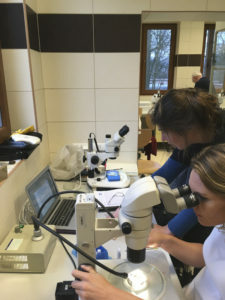 As mentioned previously we focused on the MAREANO-material, but supplemented with other samples – including those that we have collected ourselves. That meant that beauties like this one (picture below) could be examined in detail by an expert, and get properly identified before we send it off to become part of the BOLD-database. 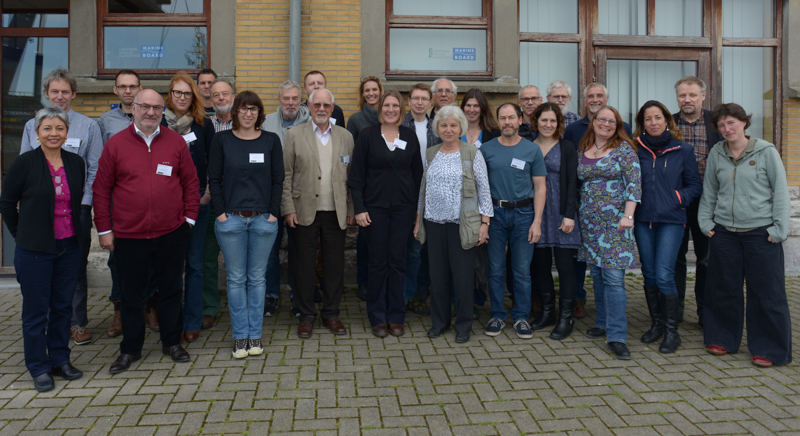 Thank you to all our participants for a very productive and fun week! 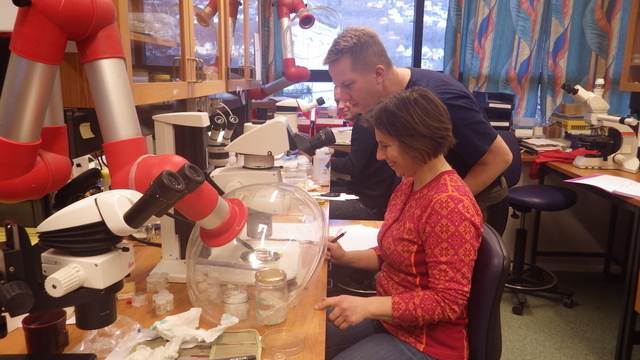 This entry was posted in Current projects, MAREANO, NorBOL, Photography, PolyNor, Workshops and tagged NorBOL, Polychaete diversity in the Norwegian Sea, PolyNor, workshop on December 1, 2014 by katrine. 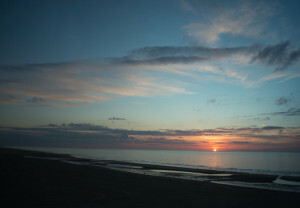 We began the year with arranging two workshops in January. The first of these was based on the extensive sampling done in the Skagerrak strait in recent years (2006 – today). 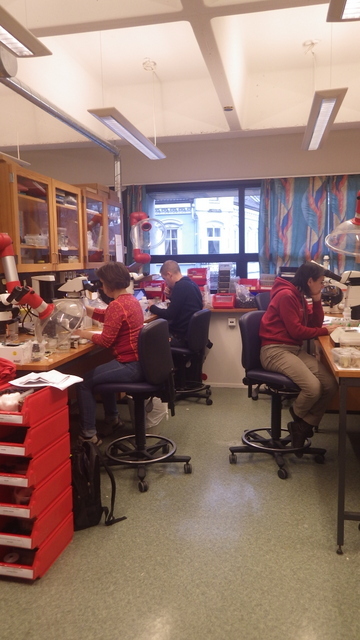 The aim was to increase the rather poor knowledge of the invertebrate fauna of the region (link is in Norwegian). 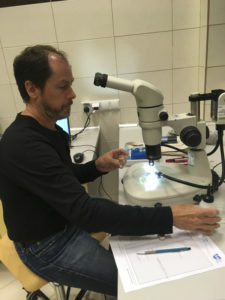 The focal group of this workshop was the Polychaetes (bristle worms), and through the effort of the ten attendants, a lot of material was examined. 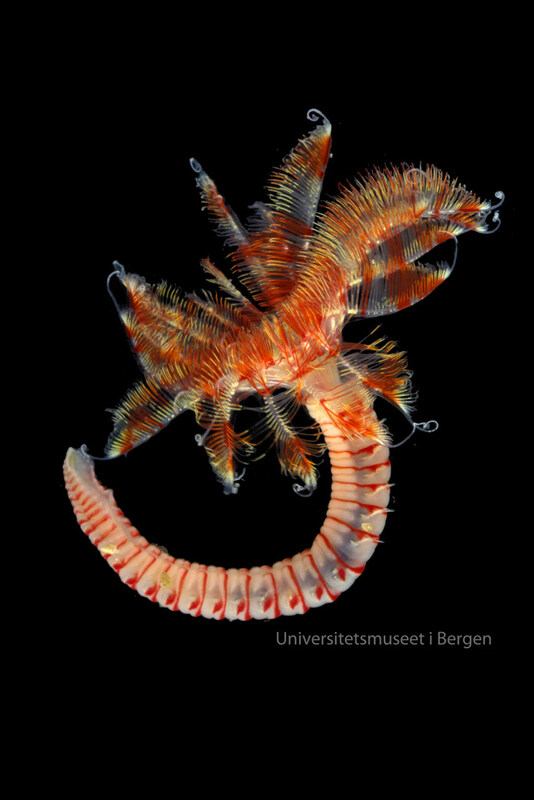 You can read more about this at the blog of the Norwegian Polychaete Forum. We are currently processing the findings from the workshop, including documenting specimens through photography and drawing. 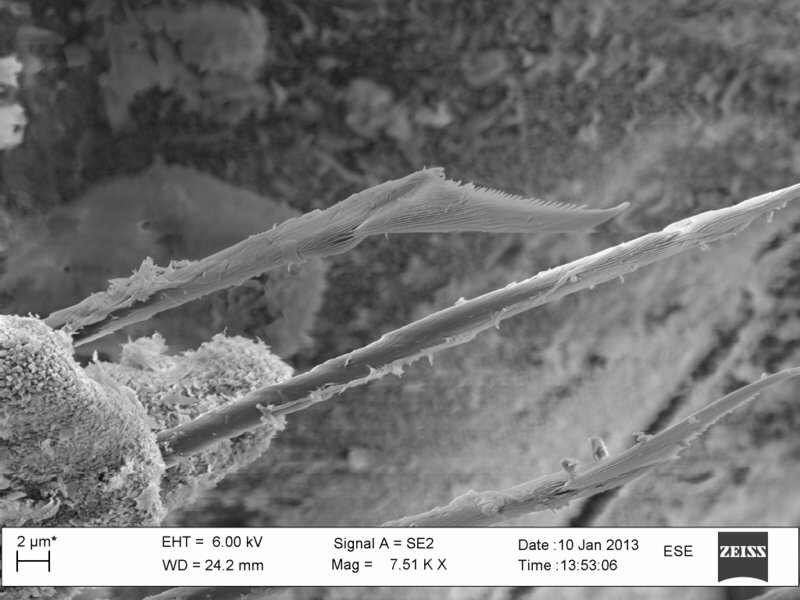 One of the tools we employ for doing this is the scanning electron microscope (SEM), which enables us to make high resolution images at a very high magnification. This entry was posted in BioSkag, Current projects, Photography, Workshops and tagged bioskag, nordic waters, workshop on February 11, 2013 by Katrine.